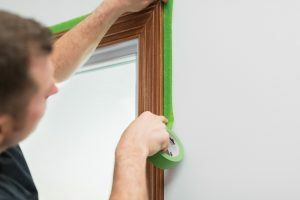 The humble masking tape has a key role to play in helping decorators realise their customers’ demands for increasingly ambitious finishes in their homes, says Alan Murray of Frog Tape. As consumers demand evermore complex and eye catching decorative finishes in their home, so the range of products to help professional decorators achieve the right look is evolving all of the time. 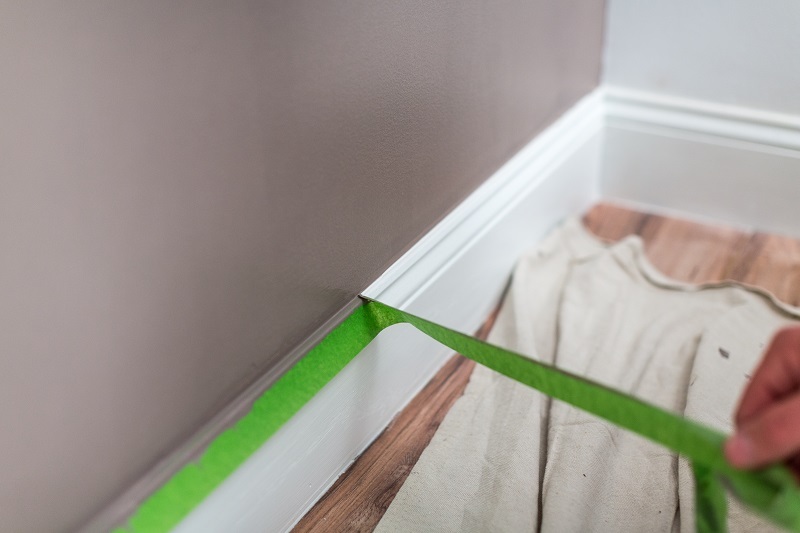 A classic case in point is the humble masking tape, which has seen our own Frog Tape range incorporate special Paint block technology, a super absorbent polymer which reacts with paint and instantly gels to form a micro barrier that seals the edge of the tape, preventing paint bleed. We believe that it delivers class leading straight lines time after time and that’s crucial when neutrality in key areas of the home is becoming a thing of the past. UK consumers are now looking for colour – more colour in the kitchens and richer colours such as teal and rust throughout the living areas. Patterns and textures are sought through vintage accents and creative materials, such as glass and concrete, and these trends give the professional decorator the opportunity to enrich a home with the right paint techniques. This provides a real opportunity for the decorator as more creativity can be brought into the process; colour blocking, creative paintwork and bright wood finishes demand a deft touch and an eye for a good finish. There is less room for error when contrasting styles are used alongside one another for a high quality masking tape is more essential than ever. At the same time there are so many wall-covering products on the market and in response our tape can be used with solvent coatings or alkyd paints, although testing is recommended, as with lacquer. Three core masking tapes are included in the range. Multi Surface – a medium adhesion painters’ tape designed for use on cured painted walls (dried three days minimum) wood trim, glass metal, untreated wood, carpet and stone. Delicate Surface – a low adhesion painters’ tape for use on freshly painted surfaces (dried for at least at 24 hours minimum – tested beforehand – primed plasterboard, treated wood, newly plastered walls (dried and sealed) and most coated wallpapers. Gloss and Satin Paint – a medium adhesion painters’ tape designed for use on cured paint (dried for three days minimum) windows, glass, carpet stone and untreated wood. Multi-Surface, Gloss and Satin will remove cleanly from most surfaces from up to 21 days and seven days in direct sunlight, while Delicate will remove cleaning from the majority of surfaces for up to 60 days. Smooth or tricky – there is no masking its ability to ensure the best finish possible!